Fremium: Free or additional services for £10GBP/month/user. 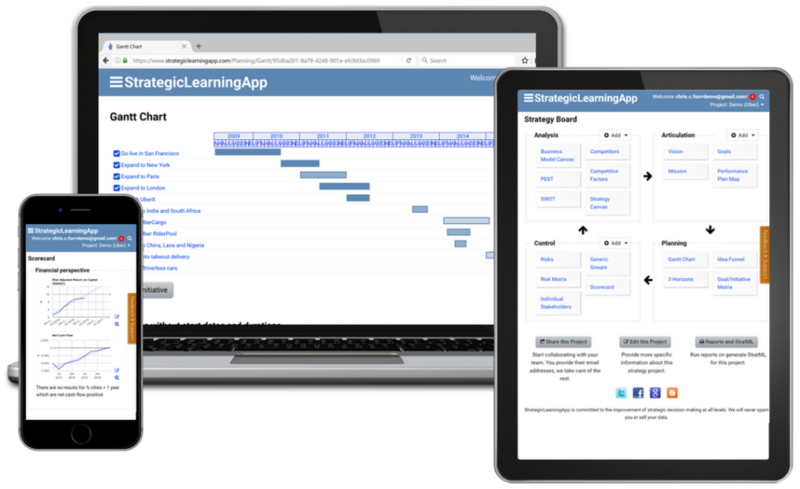 StratNavApp brings best practice for strategy development and execution to you and your team. Stop burying yourself in length Word and Powerpoint documents that fail to achieve real change, and start working in a dynamic and collaborative environment which brings business strategy into the modern age. StratNavApp integrates the most common tools for analysis, goal setting, planning and execution tracking in one place.